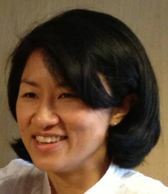 Evonne Wee is pursuing her Master’s degree in Counseling from Palo Alto University. Hailing from Singapore, she lived in Los Angeles, California for 14 years before settling down in Shanghai, China. Standing at the confluence of culture from the East and West, she is able to leverage her experience to help clients adapt and thrive cross-culturally. She has worked with diverse client populations for the past 20 years including youth, clients with developmental disabilities and clients in substance abuse recovery. Working primarily from Cognitive Behavioral Therapy, Evonne assists clients facing marriage and family issues, addictions, cultural adjustment, depression and anxiety. She can be reached at evonnewee@yahoo.com.